​With the resources from this NYS Education Department grant, we were able to build a green house in an underused area at Sleepy Hollow High School. We wanted to use the green house as a way to augment our science program – to provide a hand’s on curriculum where our students could conduct live experiments, and study plant and organic matter. The green house is a wood structure with an 8’X10’ roof, including roof vents. It has tempered glass walls and a 36”X80” door. Particularly in cool climates, greenhouses are useful for growing and propagating plans because they allow sunlight to enter and prevent heat from escaping. The transparent covering of the greenhouse allows visible light to enter unhindered, where it warms the interior as the material within absorbs it. This also prevents the heat from leaving by reflecting the energy back into the interior. Students will be able to use the greenhouse all year long. The greenhouse provides science students with hands on learning of plant morphology, biochemistry, biotechnology, physiology and plant/animal interactions. 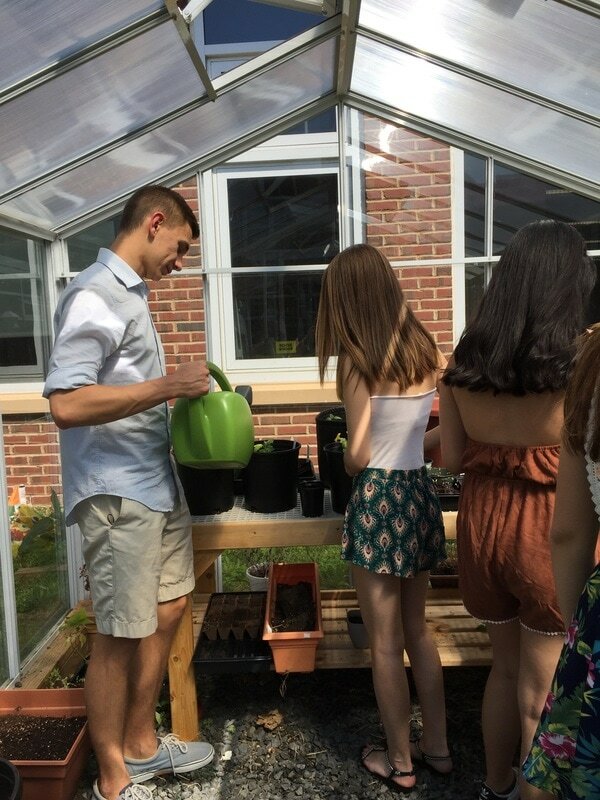 Students perform experiments with the plants that are grown in the green house, such as measuring the transpiration rates of plants, and studying the effects of water and sunlight. Vegetables will be grown in the greenhouse as well, exposing the student to food nutrients and organic farming. The entire kit to buy the green house was $4761.00. The NYS grant was $2500. We would never have been able to afford the full amount for the green house, and we are very grateful to the NYS Ed department for giving our students an opportunity to experience science from a holistic perspective – rather than just a text book.